Businesses of all sizes must allocate their resources strategically in order to keep profit margins high and keep things moving in the right direction when it comes to serving customers. Because reporting is often a concern that’s put on the back burner for alarm companies, many security businesses don’t recognize the importance of investing in good reporting software. The truth is, high quality reporting tools can actually make a significant difference for your business by helping you to save time and build your business’ value. Wondering if you should invest in good reporting software for your alarm business? Here are a number of reasons why we recommend that you do. Why Should You Invest in High Quality Reporting Software For Your Alarm Business? Keeping a record of how your company is doing from a variety of standpoints can be challenging. There are many elements to look at and analyze to get a sense of how your organization is performing overall. If you choose to monitor these aspects of your alarm business over time, you may find yourself feeling overwhelmed by the amount of information and data you need to collect and review on a regular basis. Reporting software can help you track and monitor the statistics you care about, including information about accounting, billing, attrition, and more, on a regular basis. With automated help from a reporting program, you’ll have all the information at your fingertips when you need it, organized and ready for review. Regular reporting is hugely beneficial for alarm companies. It can help you keep a finger on the pulse of your business in the present and forecast where you’re headed in the future. It can also help to build value and make your company more appealing to potential buyers when the time comes to sell. But because executives and business owners are often so busy, reporting tends to fall to the wayside for many alarm companies. Reporting software can help you to automate your reporting process and collect all of the key statistics and information you care about in one place. By investing the money, time and effort necessary to implement high quality reporting software within your organization, you can make the reporting process easier and more feasible on a regular basis. Purchasing reporting software may require a financial investment, but over time that investment will save you an immense amount of time. For many business owners, that initial investment ends up being well worth it many times over. Having the ability to automate portions of your reporting process and to collect all the key facts and figures about your business in one easily accessible place is a helpful strategy that can help you both short- and long term. If you want to free up more of your time without sacrificing the quality and quantity of your business’ reports, good reporting software is a must. Not only can high quality reporting software help you collect data about your business – it can also help you analyze it. You won’t have to spend time hand-collecting the data, plus it will be assembled for you so you can review and analyze it more efficiently. 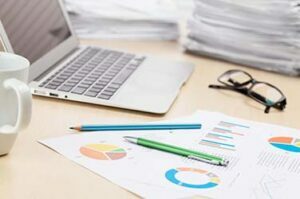 If you’re looking to improve your ability to analyze the information that showcases your business’ strengths and weaknesses, investing in reporting software could be your best bet. Allocating some of your resources towards purchasing and implementing reporting software for your alarm business is likely a wise choice, no matter what size alarm business you own. Interested in learning more about the value of good reporting software? Wondering if the investment is worth it for your specific alarm business? Contact Rory Russell at AFS or give him a call at (800) 354-3863 to discuss it! Thinking about selling your alarm business in the near future? Wondering how much your business is currently worth, but don’t have complete enough data on hand to determine it accurately yourself? 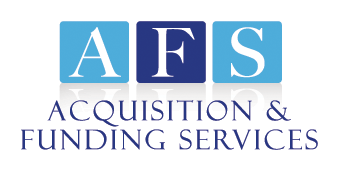 Call Rory 24/7 at (800) 354-3863 or request an alarm business valuation from AFS online. Still not convinced that regular reporting will be advantageous for your business? Check out our article on how good reporting habits can benefit your business to learn more about why you should make regular reporting a top priority!